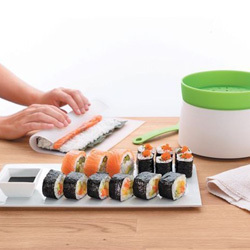 Maru Kozara are small round ceramic plates for serving soy-sauce. 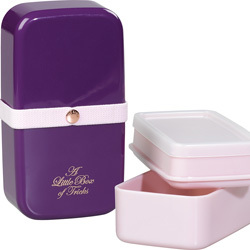 Typically used in Japan to accompany sushi and typically pretty risk free. 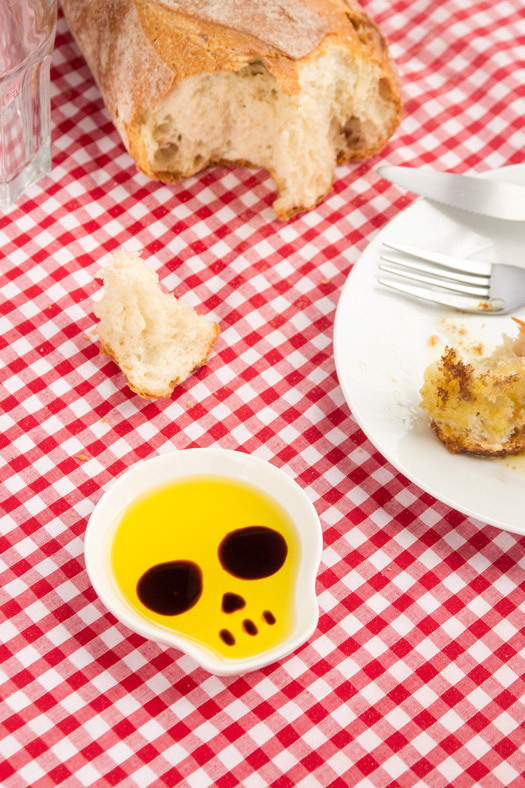 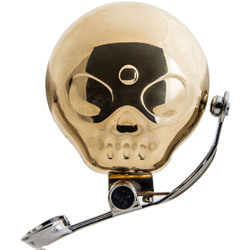 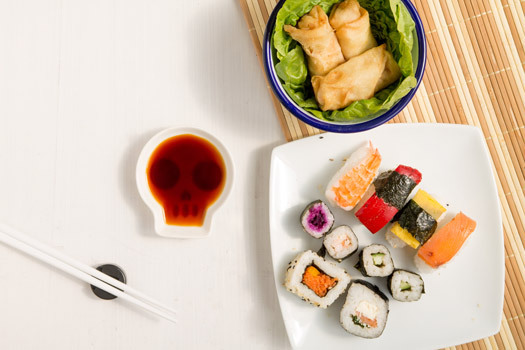 Be a rebel this dinnertime, bring danger and excitement to your sushi and serve your soy-sauce in a skull. 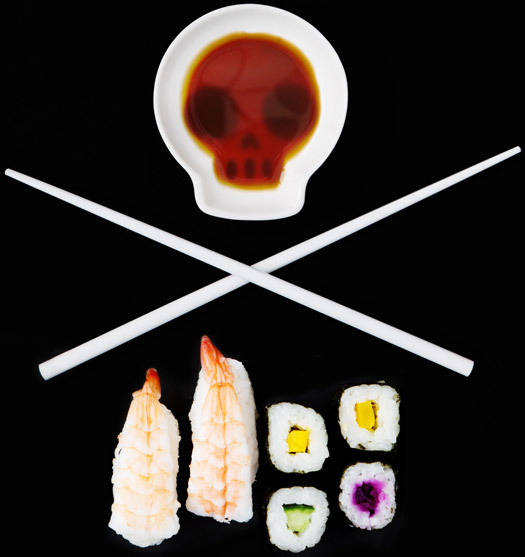 Supplied with chopsticks to form the Jolly Roger's crossed bones. 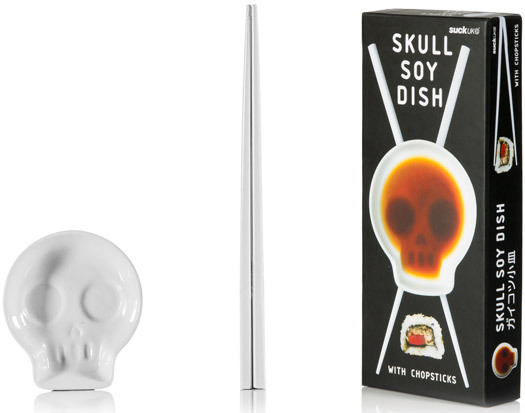 The skull details only become apparent when you pour in the sauce. 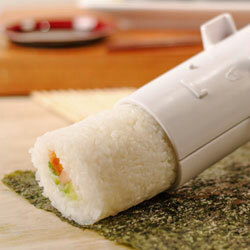 A badass gift for sushi eaters and hellraisers.